-Switching the industry’s stance from defense to offense. Note: Our interviews have switched format from text to audio so you can have a richer experience getting to know our featured guests. Alessandro Carlucci, the former CEO of Natura Cosmetics, spent 5 years experimenting with and learning about what technology could do for his company—and our industry. He is refreshingly candid about the profound lessons he has learned from his decades of service to Natura. Carlucci understands that direct selling needs to evolve and that technology will be necessary to drive that evolution. If our industry is to attain greater market share, more stability, and a brighter future, our journey will be paved with a thousand experiments—most of which will fail. Which is great. We teach our sellers to not fear failure; we teach them to plan for it and seize it as an opportunity to learn. So, when it comes to industry innovation, should we not maintain the same perspective? Michel Bayan: I know you’re very into sustainability and technology. Are there practices you’re seeing in the direct sales space that you think are an example of real innovation in these areas? Alessandro Carlucci: I think there are several companies doing amazing things. First of all, all the companies are thinking about technology. I like so much what Rodan and Fields are doing, they are only digital and they transformed their business—which is very difficult and different from Stella and Dot, which was born digital. So I think there are several companies. I like the Mary Kay approach. Of the big companies, I think this is the one that’s doing the best in technology. They were the first big direct selling company to really try to leverage their business and enhance their relationships with technology. I remember that between 1992 and 1993 I traveled to Dallas to meet their database suppliers. At that time they were already capturing data on their beauty consultants and clients. They had that famous program, I forgot the name, and started modern training almost 20 years ago. I think that they are very good. Even though that program didn’t really succeed in the beginning—everyone was not as connected then so it was very expensive to capture information from the customer—nowadays it’s very cheap. They were one of the first ones to understand that digital technology can really help leverage the core business— not just to allow Finance, HR, or Supply Chain to be more efficient. So I think this is the key. The companies that are doing this are going to have a huge advantage compared to the others. MB: Where are you seeing some of the challenges? Where do you think some of the biggest roadblocks will be for the industry? AC: My experience is not so extensive but in the last five years I have learned that we invested in technology to leverage the business. First you need to have a flexible intuition. What do I mean? You need to invest in some technologies that are not yet good. You must be able to manage a portfolio of ideas. Recognizing that maybe 10% are going to survive and 90% are going to be irrelevant. The second thing Michel is you need to really develop things with your sales force; be fast to kill what is not working; and invest in what people are using. We invested in several things that were not used, but I don’t care as those belong to the 90% we were going to kill anyway. The problem is that typically you take a lot of time and a lot of money to develop things that will never be used. So a key issue for me is developing things together with the sales people. The third challenge, or a rock in the way, is the status quo. Technology as technology itself will not change anything. The key things technology allows you to do are new things outside of the regular business model. Those paradigms are a huge challenge. My learning is that it’s very important to have a separate team to develop new tools to leverage the business using technology. If it’s the team in charge in the regular model it will not work: separate them from the status quo. You need to have a dedicated team separate from the team that regularly manages the people. This team needs to develop things with sales people, not by themselves. If they don’t have a free agenda and an open mind, you’re not going to be able to be as fast as you need to be these days. MB: One of the things I’ve been telling companies I consult with is that you need to have perspective. You’ve gotta experiment. You’ve gotta try things. You’ve gotta know not everything is going to work and that’s fine. Look, technology is advancing so rapidly that you have to expect that from the beginning. We’re in a place where no vendor or internal team is going to think of everything possible that could work for our business. So, if we understand that there will be cool new technologies and business practices out there that will benefit us, the question becomes, “How do we set ourselves up to absorb them with the minimal amount of pain?” And the answer is technology infrastructure. SalesForce set up a kind of middle layer where you can plug your ERP (enterprise resource planning software), like Oracle or whatever, into it. However, they then have this whole open source API infrastructure that allows any company with a cool idea to just make it, try it, and use it. It leaves them open to so much innovation. In addition they have SalesForce Ventures where they can invest in the growth of the particular ideas they think are good and maybe even absorb them as part of SalesForce later in an acquisition. Mary Kay did something similar when they built one of the first web back offices and sold it to other direct selling companies. And I think that was a great idea. Between then and now, somehow a mindset evolved to not share like this but there’s too much innovation and possibility out there not to. AC: With this type of project management, you must invest a minimal amount in several ideas and learn fast if it’s a good idea or not. You’ll need to kill the bad ones and invest less money in those. In my experience, the guys running the business are used to having big projects but they only know how to invest millions of dollars in long projects. When these projects are ready two years later, you may realize the project is now useless. MB: It’s startup thinking right? There’s a book called The Lean Startup which lays out the philosophy you’re describing: spend the least amount of money possible to get a piece of technology that you can learn from and measure quickly. If you’re going to spend a million dollars using this method, you’re going to spend it over 5-10 steps and evaluate the spend at each step along the way. That’s a huge change in thinking. AC: My internal team uses the terms “MVP” [Minimum Viable Product] and all this stuff because they were apart from the status quo. These days you don’t have the time to plan like you did years ago. You have to start doing and fixing fast. MB: Let’s get into the sharing economy. Companies like Uber have had a lot of traction in Brazil and around the world. Are you a customer of any of them? AC: I’m a customer of Uber and Etsy, marketplaces that are viable because of technology. In several ways these are direct selling businesses because they are using technology to enable people to have a job and earn money without being an employee. So Uber is like a single level direct selling business. Drivers don’t need to invest anything but their time. This is the bright side; the dark side is that they will put some companies out of business. My prediction is that direct selling companies that don’t reinvent themselves will be out of business in ten years because they don’t understand how fast customer behavior is changing. These are very good examples of how landscapes can change dramatically. Take taxis for example: they haven’t changed in 80 years and now Uber gets around the taxi medallion. MB: Universal Avenue is a new one. They are basically a technology layer between products and an independent direct sales force and it’s all B2B. Universal Avenue basically recruits, trains, and certifies an independent sales force to be ambassadors for these brands. They also make sure they are qualified to sell before sending them out to earn commissions. AC: They are helping to build a marketplace. MB: So they give direct sellers an opportunity to sell real B2B tools for real commissions and help these brands get into markets for zero investment. MB: Let’s talk about the level of opportunity in the sharing economy. For example: if I work for Uber I’m pretty much assured I’ll press a button and make money. This is different from any direct sales company where I’m paying to get in and assured nothing, yet my earning potential is much higher. In the first case you’re assured an income but it tops out pretty quickly. On the other side, your earning potential is unlimited but also uncertain. Here’s the challenge for me: most people that join direct selling opportunities want $500/month and $25k a month isn’t even a possibility in most of their minds. What I see in direct selling companies is many are trying to pull people up to try to make them leaders instead of focusing first on giving them what they came to get: making sure they make the $500 they came for. I’m curious, when you have this position where someone wants to make money on the side and their options are direct selling or the sharing economy (like Uber), how does a direct selling company entice the seller to come over to them? CA: I think it’s very interesting that Uber is in competition with direct selling companies. Most people can drive a car. Most people can sell a cosmetic. So we are talking about simple businesses. So how can we compete? First of all, recognize Uber is a kind of direct selling company. Next I have a belief that, as a direct seller, what you are offering must be as relevant as the compensation model that comes with it. You need to have a product or service that really has value. At the same time you need to offer a business model to the distributors/ sellers that is relevant. To be honest, several times I’ve seen those two things unbalanced. I see companies with a great compensation system selling average products. So when this happens you have to offer even better compensation. To compete with social economy initiatives, I think that direct selling companies need to reflect more on if their product or service is good enough for the end customer. Sometimes instead of trying to innovate the product/ service, they try to sophisticate the compensation model and then no one understands how they’re going to make money. So there is the need to balance and provide something novel for the final customer. MB: I think that’s where technology comes into play. To your point, I think there’s a great opportunity direct selling has because we know how to treat people. I think companies like Uber have a lot to learn from us because they don’t know how to treat people. AC: They are missing a part that direct selling companies know how to do—the training and compensation—but they attract people with a very good product. Direct selling companies forget they have to have a product that differentiates them too. Recruiting, recognizing, and training a sales force still won’t sell useless things. Technology is a huge part of this differentiation. There’s less of a difference between a physical and a virtual product now. The new offering is a combination of service, information, and the product itself. MB: At Natura did you try to estimate the dollars per hour an average consultant would earn? CA: Per hour, no. But we would calculate per month which you can work backwards to see an hourly rate. You know why we did this? For us it was very important to avoid any confusion about earnings. The average means nothing because when you have a million people the average is a combination of so many things. We said, “If you work X hours per week and sell X amount of product, your earnings are going to be Y.” So that’s why we calculate it individually. If they want to work double the time then they can do that too. MB: Yeah, then you’ve given sellers a more realistic salary expectation. MB: Let’s talk about political and legislative activism. I’ve seen a few cases where companies have their sales force around a particular shared agenda. For example, Beauty Counter is an eco-cosmetics company in the USA that has started a kind of movement for more natural beauty products. Beauty Counter impassioned and mobilized their sales force to keep a long list of chemicals out of cosmetics through political activism. They have an actual political activist on staff who regularly writes to congress and throws parties about the issues, not the product. They’ve found this is very successful at engaging people with the issues and the brand. People are passionate about what Beauty Counter is doing and trying to be. What’s your position on bringing together politics and direct sellers like this? CA: It’s a thin line between ethical and unethical when using any sales force in politics. My thinking is more conservative. If I think there’s any sense this could be conceived as a manipulation, the business is more important than using this force. This can be like a boomerang also because you now owe a favor to your sales people. You can lose control of what they’re going to say to politicians. So I prefer not to do it, Michel, because it’s a gray area. Of course there are exceptions because several times when you’re debating regulatory aspects with politicians they want to speak with your sales force. And I think it’s totally right to offer some of your sales people to speak with these guys but this is totally different than mobilizing your salespeople to organize groups that push politicians. So I don’t like it. Again there’s an ethical way to do it but I think that’s a very thin line. MB: If you get them started on that line then you don’t have control of how far they’ll go and you don’t want people to feel taken advantage of. CA: Imagine that you use your salespeople for an event and they’re very effective. Then you have another problem and you use it again. I believe this can end with you using you sales people for personal interests. They’re going to vote for this candidate because this candidate is going to support your business, ideas, or city. So you ask your sales people to vote for this guy. Step by step maybe you’re going to fails in ethical behavior, even if you don’t want to, so I prefer not to do it. CA: I agree with you. This is why I’m saying there is a thin line. Not all of these kinds of mobilizations are unethical but, when in doubt, I prefer not to do it. In the last case you can do it like in this Uber example. MB: If you had a magic wand on the industry what are one or two things you’d change about the direct selling industry? CA: I would put more innovation into the industry because I think this is the time in which our industry must be reinvented. I think technology is one of the ingredients of this innovation injection that the industry needs—without it, it will become an old one. This would be one of my wishes with my wand. The other one is to really decrease the overt promises in the industry. Sometimes companies or distributors over promise which produces problems. Raising exceptions, when expectations are high and even if it’s a good business, leads to disappointment because now I’m expecting $1 million a year and I’m only earning $50 thousand. Over-promising is a bad thing in our industry and we’ve been trying to mitigate the risk. 95% of people will be frustrated because they won’t be a million-dollar-guy although they have a very good business. It’s very good that they could be one day, but you need to manage expectations. So what I like about the Uber example is that they’re more worried about offering something of value than developing very sophisticated compensation system that allows .5% of people to have hundreds of thousands of dollars. They are more worried about making their product valuable. Maybe after that they could develop a model by recruiting and training to have a million dollar opportunity. *This interview is featured in our DirecTech Newsletter. Check out the full issue here and please consider subscribing. As of now, direct selling has stayed relatively immune to technological disruption but the future is unclear. As Peter Diamandis famously said, “Disrupt yourself or be disrupted.” In a time when it seems no industry is unaffected, are we naive to think we’re the only ones technology won’t disrupt? Should we be bracing our businesses for an upheaval or will direct selling be able to simply coast along (with a few nifty apps and shiny software)? I’ve been posing these questions to several of our executives, starting with Doug DeVos of Amway. DeVos has seen his company and our industry evolve over generations. On one hand he feels strongly about the institutional knowledge of the DSA and our industry: that we’ve learned how to treat people well and motivate them (a lesson the sharing economy is now only starting to learn). On the other hand, his reverence for technology is palpable, “I’m the old guy. I’m not a technology native and if you’re not a technology native you’re gonna get there a little slower. But everyone knows you’ve got to get there.” DeVos is committed to finding the sweet spot where technology and humans meet. MB: Do you consider Direct Selling to be behind other industries in its use and leverage of technology? DD: In any industry, even if you’re not at the forefront of developing technology—on the leading, bleeding edge—you’re going to have to try to get close to it. I think direct selling is doing fine using new technology. Each and every company is going to have to figure it out at their own pace. We’ll be fast followers in the industry to make sure we get there. But I’m older, like I said, in Brazil [at the WFDSA World Congress] I’m “the old guy.” I’m not a technology native and if you’re not a native, you’ll move a little slower but everyone knows you’ve got to get there. MB: I know the sharing economy is important to Amway. Do you participate in the sharing economy as a customer at all? DD: Not much, I’ve gone online to book vacation rentals, but my kids all use Uber and it shows a huge shift from my generation. When I was their age, drinking and driving was always a big issue. I’ve told them, “Hey, be careful driving if you’re going to go out with your friends and have a drink.” And my kids reply that they’d never think of drinking and driving, they don’t need to because they have this service. It’s just one of the great, unintended consequences of sharing apps. MB: In the last 3-4 years companies have developed hundreds of new ways to help people make money on the side and many in our industry see the sharing economy as direct competition. Do you consider the Über’s and Etsy’s of the world to be a threat or an opportunity? (Learn more about the sharing economy and its relationship to DS here). DD: We don’t look at those kinds of things as a threat because we think it makes the pie bigger. If anything, it continues to expand and enhance the entrepreneurial spirit. And when there’s an entrepreneurial spirit out there we’re gonna be just fine. We have to make sure that we present the business opportunity and the products in a way that people say “OK, thats for me.” So while we want to learn from and understand how people are enabling entrepreneurship differently from what we do, we like who we are. We like being Amway. Are we going to wake up tomorrow and say we don’t want to be Amway? Of course not. We’re gonna learn, we’re going to be fascinated, and to a certain extent, enjoy what’s happening there, because in our mind it’s enhancing the entrepreneurial spirit. MB: In terms of future vision, what are some of the top things you’d like to see change about direct selling? DD: So many times in direct sales we talk amongst ourselves but we fail to get the information from the consumer. We think, “I’m gonna do a better job of selling myself.” Rather than, “Why don’t I stop for a second and see what the world’s interested in?” One of the reasons behind our entrepreneurship study is we want to learn from this pool of people who are interested. What holds them back? What interests them? What do they need? We want to keep driving on the data to help us think about someone and their success first. We’ve always done that, but now there are more and more tools to help us do that even better. I think if there’s things to work on, as an industry, it’s that. Caring for an army of entrepreneurs. Volunteers. You’ve got to be really transparent about the investment that you make, what they spend, and what their expectations are about earnings. It’s also an example of how other industries are now struggling with it and they could benefit from the institutional knowledge of the DSA. MB: I know you see data as a major resource but I’ve spoken to a couple of direct selling executives who feel like big data is a waste of time. Do you see the industry getting hungrier for data? DD: You remember the movie Moneyball? I think a lot of us in the industry think, “Well I just know a good baseball player when I see one.” Right now though we’re coming back and saying, “Well, I probably don’t know that much.” I have my experiences, but my experiences could limit my willingness to accept new information and what I want to do is be more willing. So you have to do that through process, data, and analytics to try to expand the knowledge-base. MB: To gather data you need a tool that people will use. How are direct sellers going to use technologies to measure what happens? DD: The reality is there’s not going to be one perfect tool. There’s going to be a collection of tools and human judgement calls. We can gather facts and data, but at some point we’re going to have to digest it and turn it into real information about what we believe. You’re not going to find some magic something that says “Here’s what your going to do and you’re always going to be successful.” You’re gonna have challenges. You still have to go through that human process if you will. MB: How can direct selling do a better job of showing its value to the world? MB: What is the most exciting thing for you about what you do? DD: It’s all about people. It’s about their success. You know, my Dad and I were talking about the next stage for the company and he said, “Doug you have to do that. You have to move forward because people need more opportunity, they need to be able to see that, and you can’t stay still. You can’t just try to hold on to what you’ve got, you’ve got to keep moving forward.” Somebody right now, today, is making a decision about our product or about our business opportunity. Do they want to spend the money to buy the product? Do they want to spend the time and the energy to do the business opportunity? Are they willing to engage or not? That’s what gets me going every day: we have an opportunity to be helpful in somebody’s life. And we want to make sure we’re doing it to the best of our ability. So we’ve got thousands of employees and hundreds of thousands of Amway Business Owners. Every day and every moment we have an opportunity to do that, and we have to figure out how to do it to the best of our ability. So what else, what more could you want to wake up and go do? Doug DeVos knows the tools and methodologies may change, but direct selling always has, and always will be about people. It’s not about high tech or high-touch. But rather about the melding of the two into something better than the sum of its parts. Sort of like what we teach our sellers about the Mastermind principle. 1+1=3. The power of crowdfunding was in full display as Dubois et Fils, the oldest Swiss watchmaking company, used nontraditional online marketing to successfully raise 1.5 million CHF (approximately 1.6 million U.S. dollars) to release new lines of limited edition pieces. Maybe I just don’t get it but I’m trying to wrap my head around all the buzz about social entrepreneurs. I think I understand the idea that a social entrepreneur is one who is starting businesses that are designed to do good for people. To help people somehow. Make their lives better in some way. Happier. More Productive. More Green. Here is what I don’t get: Isn’t that what any good business is supposed to do? As Richard Branson says in his book Business Stripped Bare, a good business makes things better by making better things. That’s what any good business does. 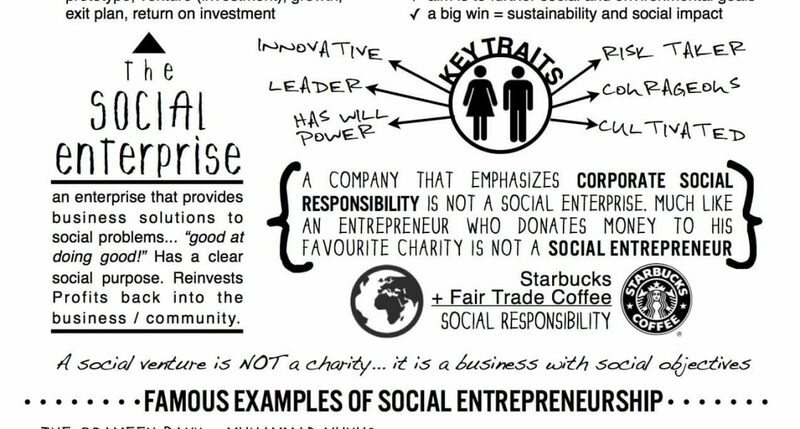 So why do we need this new classification of the “social” entrepreneur. To me that implies that entrepreneurs that are not labeled “social” are somehow bad people. It may even imply that business in general is somehow bad or evil. I think that kind of thinking is just plain dangerous. Google has put together some really powerful research to come up with answers to some of the most burning questions in marketers’ minds about how mobile smartphones are effecting consumer behavior. What you see here may shock many of you. Smartphones are having an enormous influence on the buying habits of consumers. In fact, they are changing the landscape forever. Choices Abound: How Many Do YOU Have? Mr WordPress on Why Are Your Friends your “Friends”?